Mandhana has been named the captain of Board President's XI for the warm-up game. India Women are currently in New Zealand and will be playing the last game of the tour on Sunday at the Seddon Park in Hamilton. This turned out to be a mixed tour for the visitors as they clinched the ODI series and have already gone down by 2-0 in the three T20Is. There is no respite for the girls after this series as England Women are on their way to India to play three ODIs and the same number of T20 Internationals. 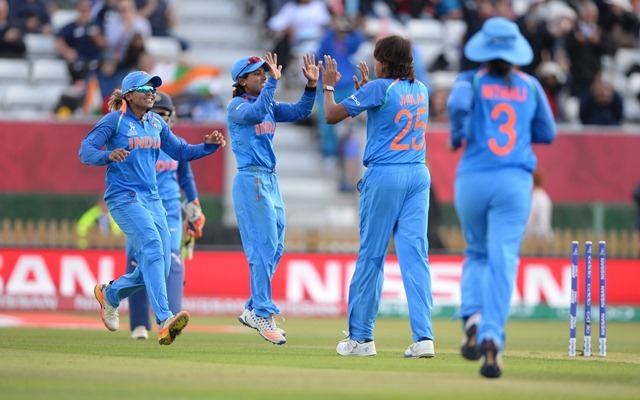 The Board of Control for Cricket in India (BCCI) has announced the 15-woman squad for the 50-over tussle which is set to commence on February 22. The visiting England team will also play a solitary warm-up game against the Board President’s XI and the squad for the same has also been named. As far as the warm-up game is concerned, Smriti Mandhana will lead the team consisting of some of the new names in the team. It will also give the hosts an opportunity to look at the young prospects in the limited-overs format. As far as the India squad is concerned, Veda Krishnamurthy has been ignored again for the ODIs but she has been included in BP XI squad for the warm-up game. A backup wicketkeeper for Taniya Bhatia has also been picked in R Kalpana and it will be interesting to see if she gets a game. The rest of the team resembles the same look which defeated New Zealand, the White Ferns, in their own den. All the matches are set to be played in Mumbai at the Wankhede Stadium on February 22,25 and 28 after which the T20Is will commence on March 4. If the reports are to be believed, the ODI skipper Mithali Raj is likely to take the retirement during this series from the shortest format.